Buckert et al’s research article, “How stressful are economic competitions in the lab? An investigation with physiological measures”, did a really good job at demonstrating how stressful competition really is when it is viewed as a threat rather than a challenge. As Buckert et al’s study examined “if a well-established laboratory economic tournament game may function as stress, i.e., elicit a psychophysiological stress response. Measuring mood, heart rate, cortisol and testosterone levels” (pg. 232). 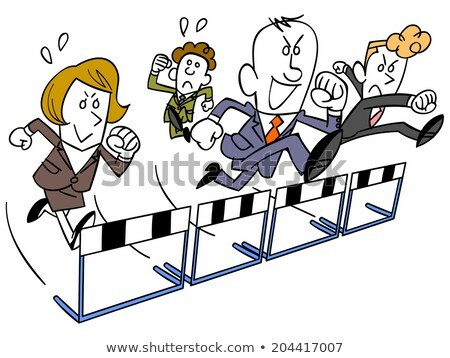 Even though this was for a laboratory economic competition, all of the results seemed relatable to everyday situations when faced with competition. As the study showed that when competition is perceived as a challenge, it results in the person using an active coping strategy and a better mood and increased activity. This is evident in real life situations when someone feels confident in what they are doing and don’t view the competition as a threat they perform better and their mood increases. Whereas, if someone doesn’t feel as confident in what they are doing and view it as a threat their mood decreases and heart increases, this in which I have been familiar with when it has come to sport competitions where I have not been very confident in. Whereas, if it’s something I enjoy doing and feel confident, I perform better and enjoy doing it. Buckert et al’s research article used many credible sources on top of their study which made it very credible. As it displayed evidence from other disciplines as well. The reason I chose that picture was because everyones face is different in it. Some people are happy, some sad, some sweating and some taking it like its really easy. I thought this was relatable to Buckert et al’s article as everyone took competition differently. Depending on whether they viewed it as a threat or challenge. I find this evident in whether people use active coping strategies or passive coping strategy and how their mood gets affected. As from the article, depending on the person everyone can have different preferences of how they view competition and can handle situations, which overall affects their performance and mood. Buckert et al’s research article is similar to Nelson et al’s “Competition, education and assessment: connecting history with recent scholarship” as it discusses the physiological affects of competition as well with similar negative behaviour when it is viewed as a threat. In Nelson’s article, students who viewed education as a contest resulted in students performing worse and learning behaviour decreased. Buckert’s research article is also similar to Chen’s article of the study where students who were in the competition mode had decreased learning behaviour and it affected their mood negatively as there were time constraints and peer pressures. Dislplaying that all three articles display that competition affects physiological aspects negatively when viewed as a threat. Relating to how elisejuncker related Dawson et al’s article to Buckert’s, she quotes Dawson et al’s article, “With every degree of competition that is introduced to goad their performance, students experience anxiety. […] Of course if I already feel the failure that I fear, my learning will be discouraged […].” and says that “that might explain why individuals with low self-esteem or anxiety are more hesitant to compete”. Agreeing with Elise how this might make someone feel closer to the failure than they do to the success. I personally believe this to be true as for myself when I’m faced with competition and see my competitors as better than I am or a threat, or am placed with intimidating people, I often feel anxious and nervous to compete which I do believe affects my performance. As this was evident in Buckert’s article where people’s heart rate increased. I liked how you formatted this response, it acted a little bit more than just a response and also gave the reader an opportunity to connect and get to know the writer which made reading it a little more easy – even explaining why you chose the photo you chose for the post. I must add that I agree that this study done article by Buckert et al, reaches far out of the context of economic competition, and I can most definitely relate to the idea of competition acting as a challenge, but definitely acting as a stressor as well. I, as well, find this is ever relevant in education as this is evident in the student culture with feeling a lack of confidence and large amount of anxiety before an exam. As most of us can relate, this is even more evident in post-secondary education where competition is higher and people aren’t holding your hand like they did in high school with the content, and it almost always translates to a lack of confidence in performance on an exam or assignment regardless of the effort put in. I liked your response, and one thing I thought of while reading it was, generally what common factors tend to make competition a positive challenge versus a potential stressor? That would have been interesting to elaborate on. Hey, thanks for this reading response! -> This is exactly why the question about whether competition is a useful or detrimental to society is so difficult to answer. Every human is a unique and incredibly complex being, that always responds slightly different to a stimulus than somone else would. The complexity of humans makes it so difficult to evaluate competition, as people react to it so differently. Therefore it is important to look at patterns and trends – to see if competition is generally seen as a threat or challenge, which in itself ranges from easy to diffult challenge and from slight to extreme threat. Do you think individual tests on heart rate etc. In relation to competition give data that is generalizable? Hey xlblake, thanks for the comment! I definitely find in post secondary i’m almost competing with myself in that it’s a challenge to do better if I wasn’t doing as well on something before. Especially with getting into certain programs or getting results back, post-secondary is definitely very competitive and I agree with your statement that it almost always translates to a lack of confidence even if we put a lot of effort in. Regarding your question, I believe common factors that tend to make competition a positive challenge versus a potential stressor include the differences of how confident you are in the situation that you need to perform, your personal traits such as how much you like a challenge or view it just as competition and knowing the other opponents for me personally. I believe if someone’s thrown into a situation that they’re not familiar with and don’t like challenges, it could definitely be a potential stressor. Hey benirohr, thanks for the comment! I agree with your statement that the complexity of humans make it difficult to evaluate competition and that’s why I find it really interesting to read these articles and understand how there’s so many different ways to view competition in all different disciplines. I believe heart rate in relation to competition does gives data that is generalizable but it depends on the situation. For example, viewing a situation that does not require physical activity I believe heart rate is a good measure to view if someone’s nervous or not which would be more generalizeable compared to if it was for a high intensity sport competition. In this experiment, I believe that heart rate played an important factor for the results and can be used for looking at other aspects related to competition. Thank you for your post. There were however a couple of factual mistakes I would like to point out, most likely caused by misunderstanding the results. 1) Active coping strategy did not result in increased mood. There was a suggested connection between choosing to participate in the tournament as opposed to piece-rate, and active coping strategy because the subjects perceived the tournament as a challenge and therefore employed active coping. However, the findings did not reflect the assumption that active coping resulted in elevated mood, in fact, “those who selected tournament displayed a stronger decrease in mood and calmness” (Buckert et al., 2017). 2) Cortisol, the stress hormone, and testosterone increased in those who chose the tournament and decreased in those who chose piece-rate, suggesting those with active coping strategies were under more stress. But to be fair, Buckert et al. mentioned that findings relating to cortisol weren’t supported by other studies. Other than that, I agree with your point that competition induces stress and anxiety, as was suggested by the paper we read. Hi, I think cortisol, the stress hormone decreased in both groups choices. This was pointed out on the limitations part of the paper. I think this was a bit of a third variable problem which can be the physiology of the people or maybe an adaptation of their bodies to stressful situations like the tournament. knowledge from the references featured in this article. together with recent previous work provides convergent evidence that competitive elements of economic settings seem indeed to be able to evoke stress-related physiological changes”, I doubt that other factors can explain the physiological changes as well. As we probably know, emotions like fear, sadness, happiness etc can all cause physiological changes. For example, being new to a lab setting or being sensitive to the experiment can cause changes in heart rate and hormonal level too. At this point, we are not sure if the competitive factor that cause the stress response or the setting elicits excitement from the participants. But all in all, I might be overly skeptical. Hello, thank you for sharing this with us. It was a really thorough analysis of the work. I also loved how you explained why you chose that particular image. When I looked at the picture, I was wondering if personality also plays a role in how one perceives competition. Perhaps individuals with certain personalities are more predisposed to view competition as a threat rather than as a challenge, and this may cause those individuals to perform worse than others who are more prone to viewing competition as a challenge. I suppose this goes along the lines of what elisejuncker was mentioning, about how those with lower self-esteem may find it more difficult to view competition in a positive light.